Lunch included in Mota del Cuervo, a typical restaurant. Entrance fees to Belmonte Castle, House-Museum of Dulcinea del Toboso and Mota del Cuervo Windmills. 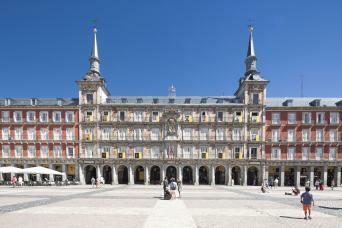 Entrance fee to Bartholomew's Colegiata (If Option Selected). 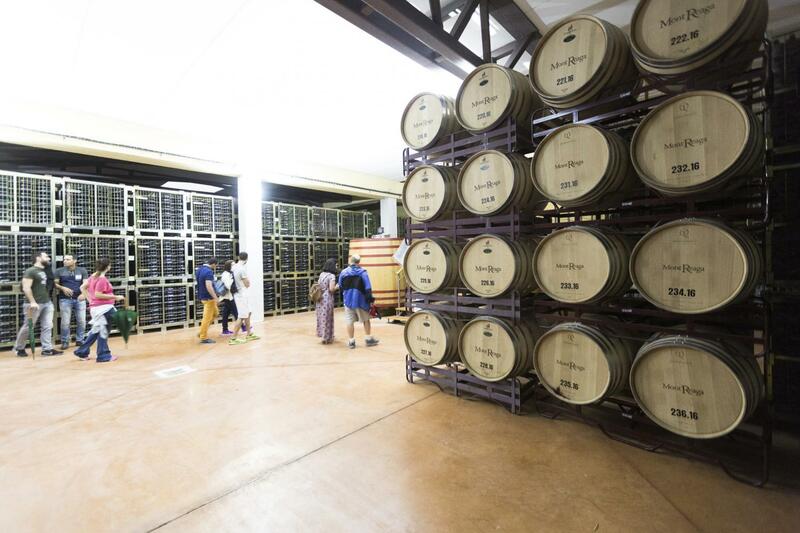 Guided Tour and Wine Tasting in MontReaga Winery (If Option Selected). Lunch in a typical Mesón in Mota del Cuervo. The duration of the tour includes the round trip to the destination. You must be 18 years old and present a valid photo ID in order to consume alcohol. 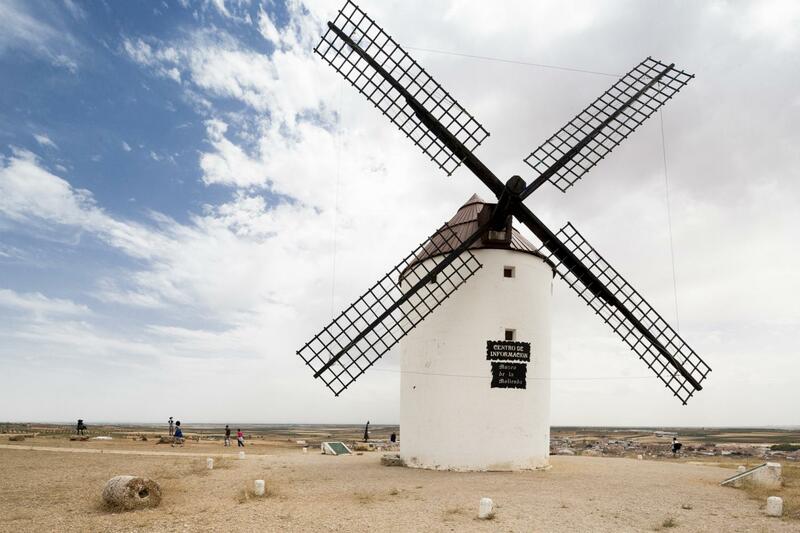 Discover La Mancha, homeland of Don Quixote, Belmonte, Mota Del Cuervo and the village of El Toboso, where according to recent research Miguel de Cervantes was inspired by some of its neighbors to write the most famous novel of all times, “The Ingenious Hidalgo Don Quixote de la Mancha”. 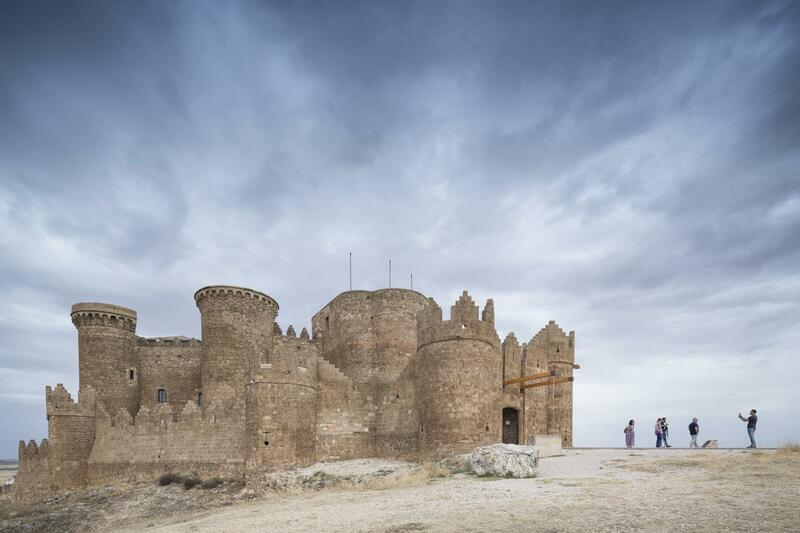 We will visit the Castle of Belmonte (completely restored) and will know how was the life of a medieval knight, heroes of the stories that made Don Quixote go mad. 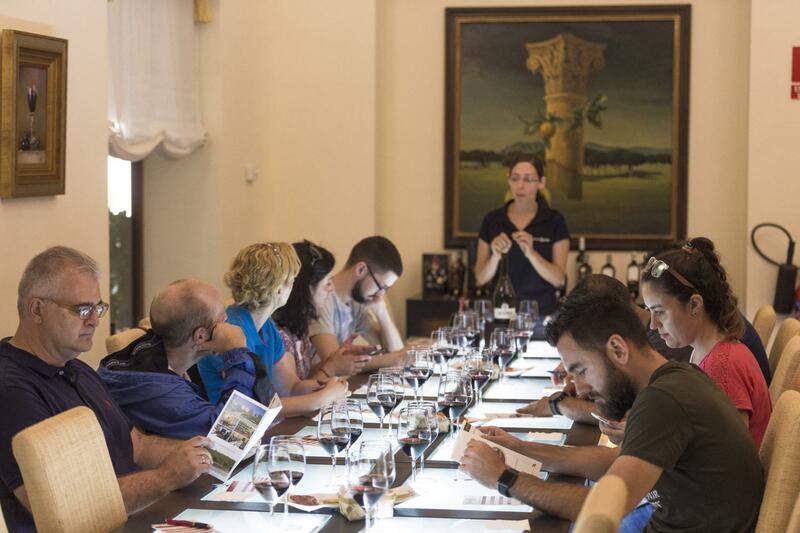 People with “wine tasting” tour option will go to Monreal del Llano, where after a guided tour in the winery MontReaga, will enjoy a tasting of their best wines. 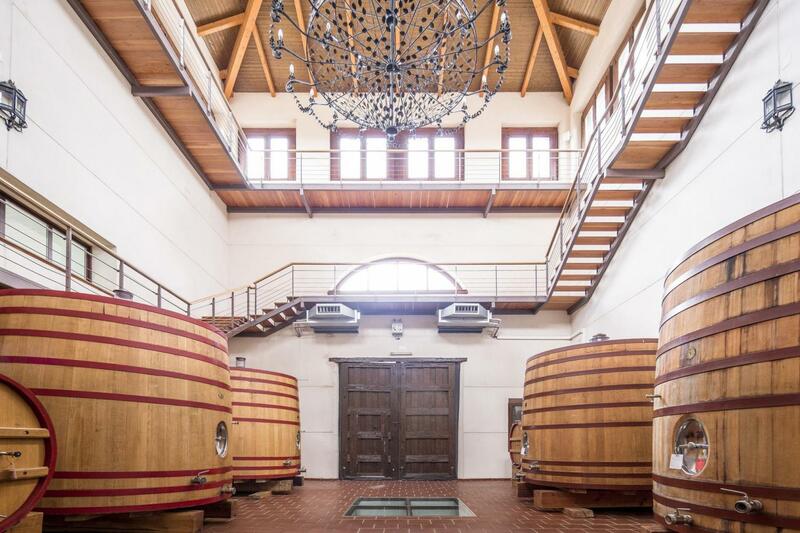 The rest of the group will remain in Belmonte for the visit of Saint Bartholomew’s Colegiata, which houses the most ancient wooden choirstalls in Spain. We will have lunch at a typical inn –“mesón”- at Mota del Cuervo. 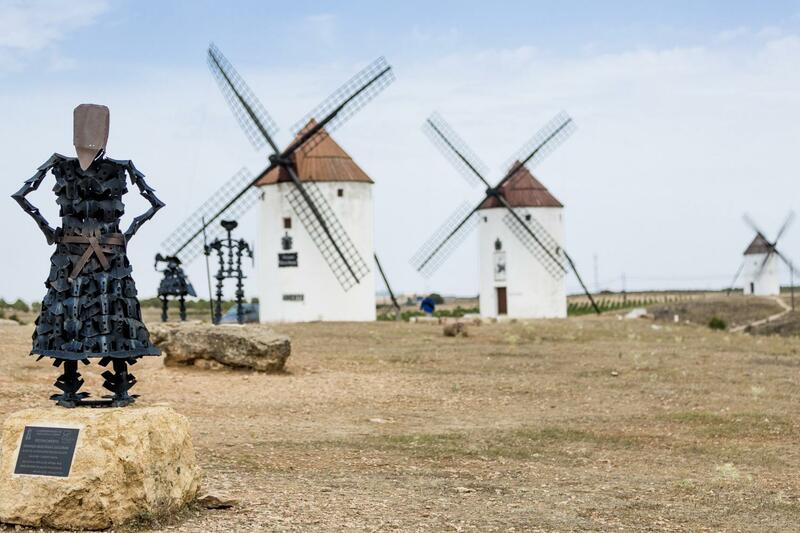 After lunchtime we will visit its famous windmills, who witnessed the battle of Don Quixote against the Giants of his imagination. In there is wind enough, we will see how the flour was traditionally made –“molienda”- from the wheat. 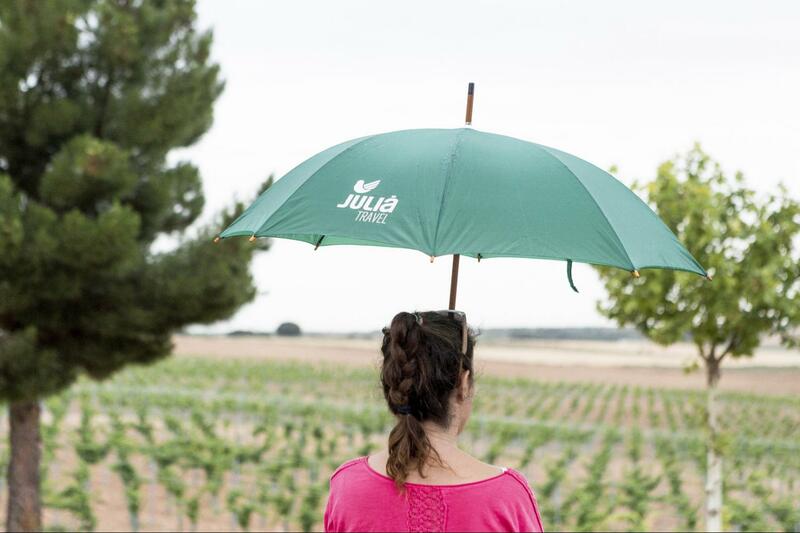 The tour will end at El Toboso, the village of Dulcinea, Don Quixote’s love interest. 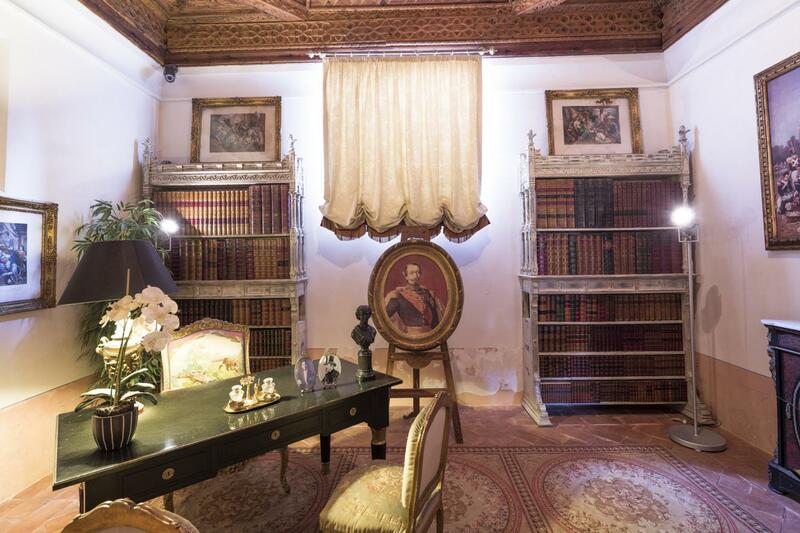 The House-Museum of Dulcinea Del Toboso faithfully replicates the home of a knight in times of Cervantes, as it would have been the house of Don Alonso Quijano “El Quixote”. 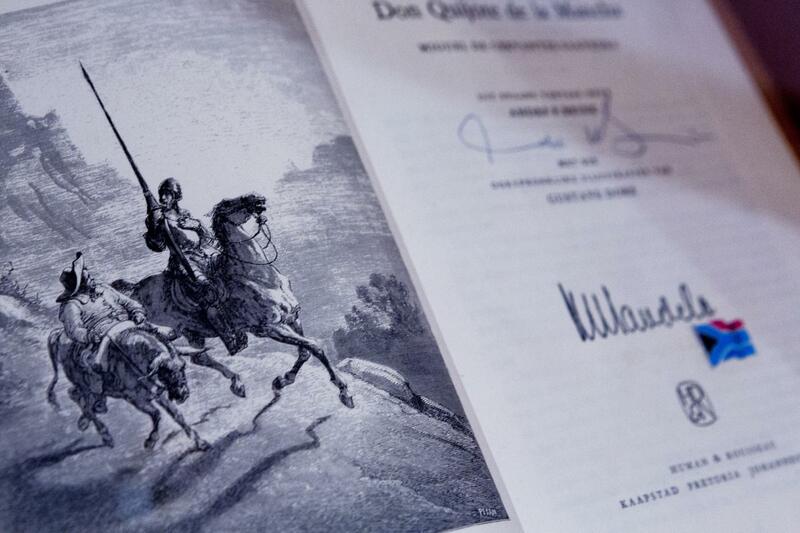 From El Toboso we will return to Madrid, saying good-bye to an extraordinary journey in La Mancha, the land of Don Quixote.